Extreme Ice Center has been my coaching home base since 2007. I am available by appointment. My experience as a skater, coach, parent and seminar leader has enabled me to communicate the core concepts of skating in a cohesive and motivating style. I love teaching athletes of all ages and levels. 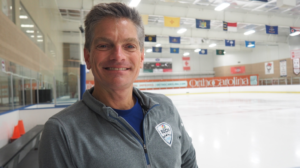 I enjoy contributing to Extreme Ice Center’s team of skating coaches through Learn to Skate USA and Elite Skating Academy, as well as private lessons. Freestyle, skating skills, jumps, spins, choreography, footwork, moves show tricks, off-ice classes, and individual training, hockey skating and mentoring. 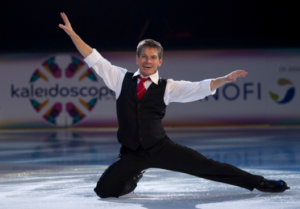 Since I began skating at 3, I cannot imagine life without being on the ice, and I hope to instill in others the simple joy of gliding, spinning, jumping and expressing emotion to music. 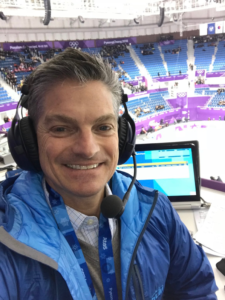 I was fortunate to have had the opportunity to represent the USA in two Winter Olympics, and to reach my lifelong goal of standing on the Podium in 1992. Everything came together for the final competition of my amateur career, and that performance provided a springboard to six years of pro skating all over the world. I have lived in Charlotte since 2006. My wife’s name is Kate, and she was also a great athlete. 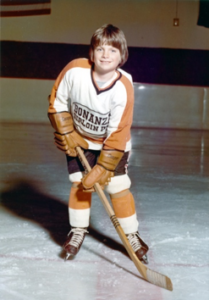 She played hockey goalie for Division I Brown University. We have three children together: Hannah, Emma, and Caleb.